A holiday resort belonging to Miskolc, in an environs rich in the beauties of nature. 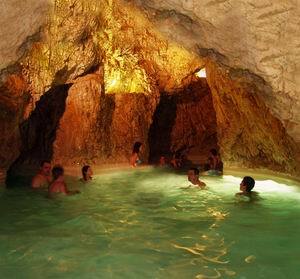 It has a unique thermal bath, cave bath, pool in the cave, the temperature of the thermal waters of the spring are of 27-31 degree Celsius. There is a fishing pool, a beach in a 5.7 hectar' park.